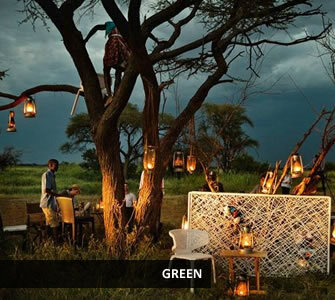 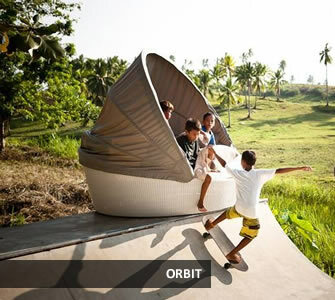 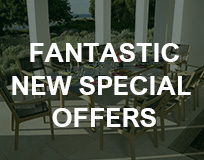 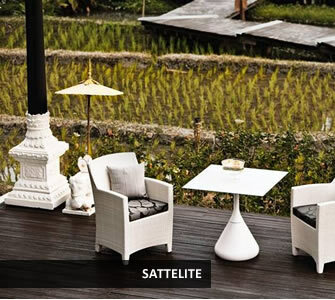 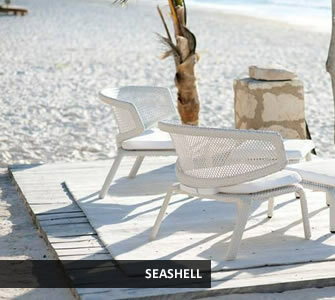 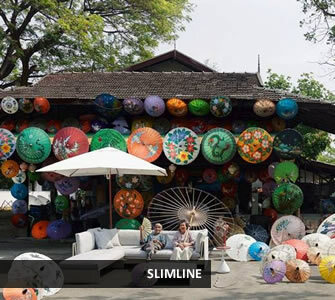 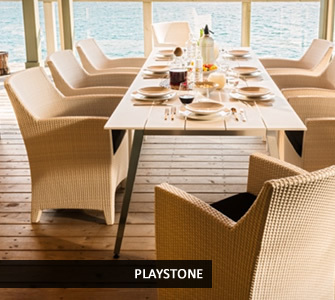 Dedon are renowned for manufacturing designer garden furniture that is built to last. 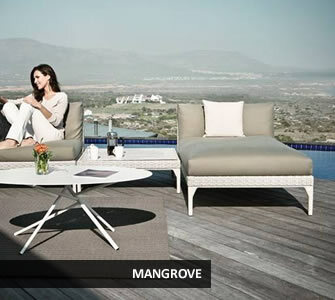 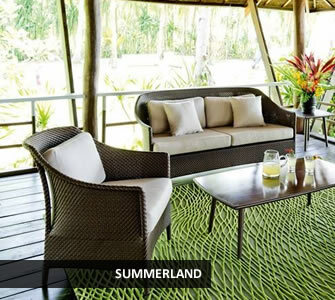 Over the years the world’s leading garden furniture designers have worked with this prestigious brand to create a collection of furniture second to none. 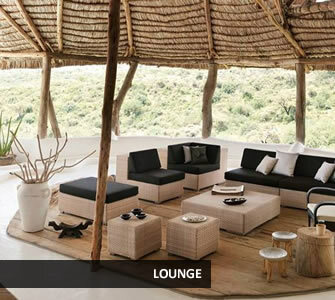 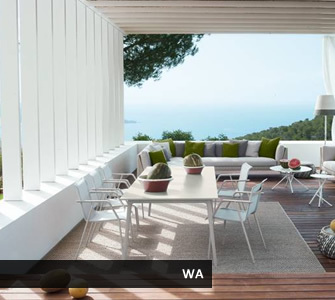 Dedon furniture is manufactured on a fully welded steel frame and woven with their own fibre, Dedon fibre. 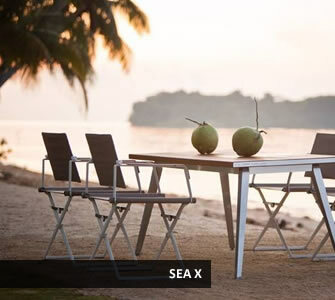 This fibre is the best quality fibre on the market, manufactured in Germany this fibre has better colourfast and strength qualities than any of its competitors. 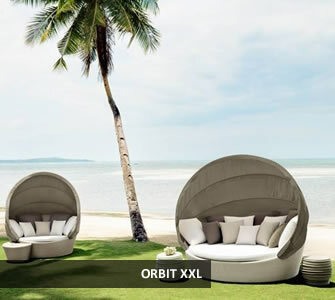 The world’s leading hotels have used Dedon for contract furniture for many years due to their contemporary designs and high quality standards. 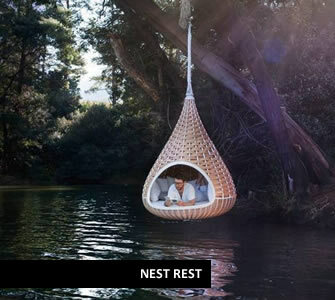 Today, it is hard not to spot Dedon products in home and garden magazines, 5 star hotels and leading hospitality events and venues. 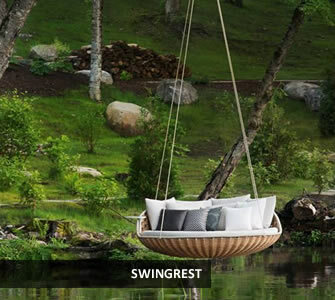 The Nestrest and Mu created the largest interest over any other product collections in recent years, this year Dedon enlarged the Swingrest collection to rival the Nestrest. 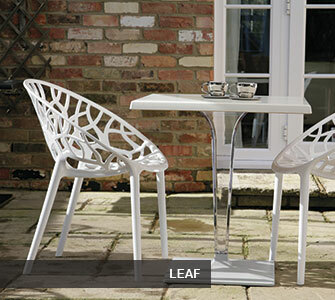 The single chairs and small sofa in this collection are delightful. 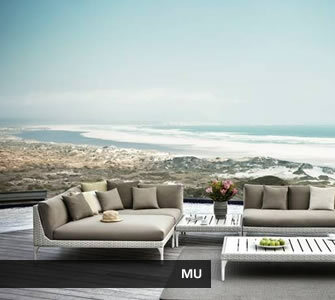 Both are available in two fibre colours, Mu does not have a dining collection but many other collections are suitable to compliment (e.g. 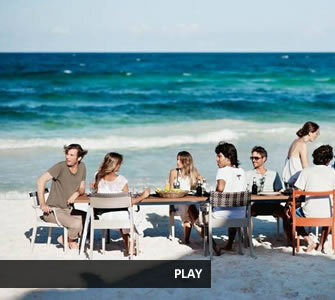 Play, Barcelona and Stream). 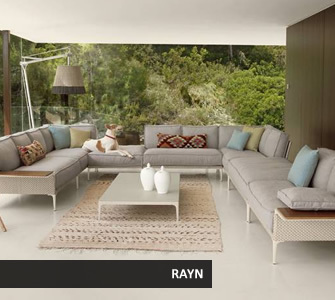 This past year Dedon launched Rayn, an extensive lounge seating collection. 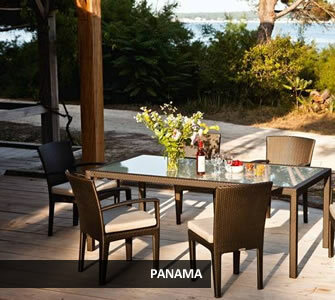 Different weave colour and style options are available on each collection. 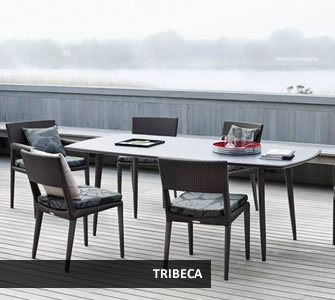 Collections are meant to be unique, although many product collections work well together.